Catch a criminal as you go deep undercover! 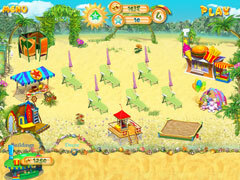 Catch a criminal as you go deep undercover as the owner of a beautiful beach business in Summer Rush! With the majestic sea just feet away, and the sun shining down on you, it's up to you to tackle tasks and track down a dangerous crook. 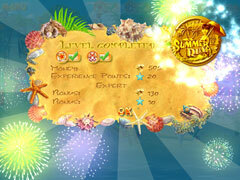 Use your Time Management talents to gain the trust of everyone on the island and piece together the clues!